The authority we use to justify our ideology is our foundational belief. If that belief is faulty, then everything that comes from it is called into question. In Protestantism that belief is called sola scriptura or the “scriptures alone.” They believe that every doctrine of the Christian faith must be in the Bible and justified solely by the scriptures. They may consult commentaries and people they trust, but in the end, it is the Bible that must justify their belief. Tradition, in their mind, is unreliable at best and totally corrupt at worst. The problem with sola scriptura is two-fold. It is not biblical nor does it work in real life. There are no scriptures that claim the Bible alone as the authority of Christianity. They claim to be profitable, true, and authoritative but not the sole authority. On the contrary there are scriptures, such as, 2nd Thess. 2:15, 2nd Thess. 3:6, and 1st Tim. 3:15, that indicate the Church and her tradition to be the true authority. Anything can be claimed from the ivory tower, or in this case the ivory steeple, but if it does not work in real life, it is worthless. Sola scriptura does not work in real life. Since the Protestant Reformation, thousands of denominations have sprung up due to various readings of the scriptures. 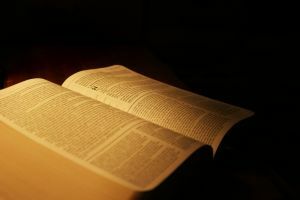 Most Protestants are sincere in seeking the true meaning of the scriptures, but the Bible is a complex, highly spiritual book, written thousands of years ago. It is more easily misunderstood than understood. Without a consistent tradition dating back to the Apostles, misinterpretations are inevitable, which invariably lead to bickering and divisions. Despite the good intentions of most Protestants, sola scriptura leads to a relativistic Christianity where almost every doctrine is up for grabs. Even worse, is the fact that sola scriptura makes the individual Protestant his own authority. It is up to the individual to decide what he believes. If the truth were told, Protestants do not believe in the scriptures alone but in the individual alone. One way to understand the difference between the Protestant view of sola scriptura and the Orthodox view of tradition is through the liberal and conservative understanding of the Constitution. Liberals tend to believe the Constitution should be read in light of today’s society. They are not concerned with a historical connection to the founders. They only care what it means to them today. On the other hand conservatives are interested in original intent. They want to know what the founders meant when they wrote it, and absent a Constitutional Amendment; they believe it should mean the same thing today. Protestants do not have a historical connection to the Apostles. They simply interpret the Bible as it strikes them today. Orthodox do have that connection and seek to maintain the original Apostolic understanding. Sad to say Protestantism is a liberal, relativistic view of Christianity with each individual as his own authority.